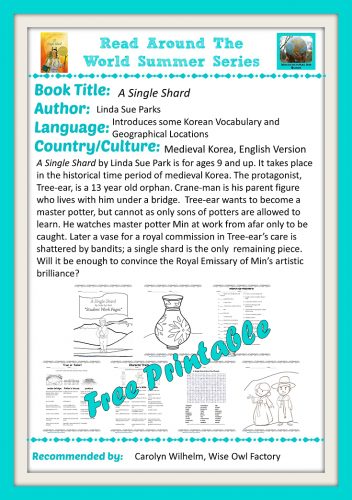 A Single Shard by Linda Sue Park is book for ages 9 and up set in medieval Korea. This post is part of a summer read around the world blog hop by Multicultural Kids at MKB Read Around the World Summer Reading Series. The picture at the left is of the “Thousands Cranes Vase” which is on display at the Kansong Museum of Art in South Korea. The potter/artist of the vase pictured is actually unknown. Such pottery helped inspire the writing of this book, which takes place in the historical time period of medieval Korea. The protagonist, Tree-ear, is a 13 year old orphan. Crane-man is his parent figure who lives with him under a bridge. The story reveals how they both came to live there. Tree-ear wants to become a master potter, but cannot as only sons of potters are allowed to learn. He watches master potter Min at work from afar only to be caught. Later a vase for a royal commission in Tree-ear’s care is shattered by bandits; a single shard is the only remaining piece. Will it be enough to convince the Royal Emissary of Min’s artistic brilliance? Spoiler: Tree-ear does have the opportunity to learn to throw the delicate Celadon ceramics himself by the very end of the story. I am providing the spoiler as it makes this book appropriate for ages 9 and up as it has a happy ending. 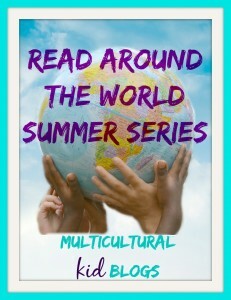 For the purposes of the Read Around the World Summer Series, I am sharing a free printable PDF with student work pages and teacher answer keys for use in the classroom. 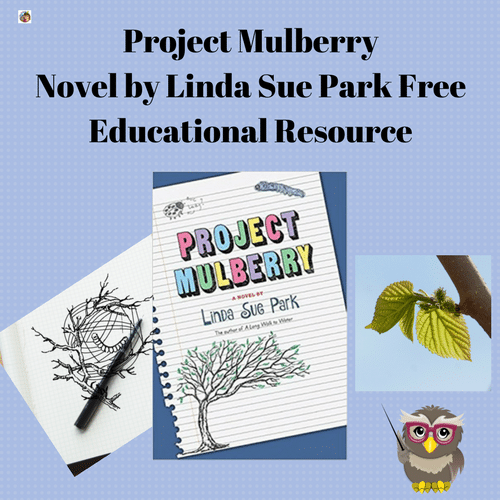 Just click on the link below for your free instant download. 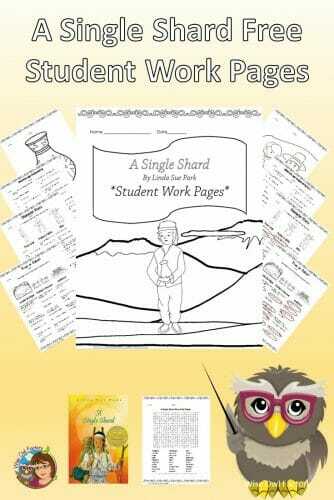 The free printable includes two coloring pages for children. 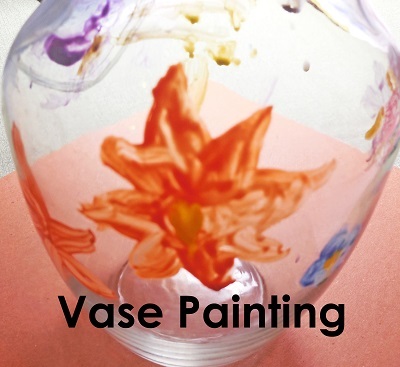 We also tried our hand at vase painting using children’s paint and a glass vase. It was more difficult than we thought at first, but it was an enjoyable activity. 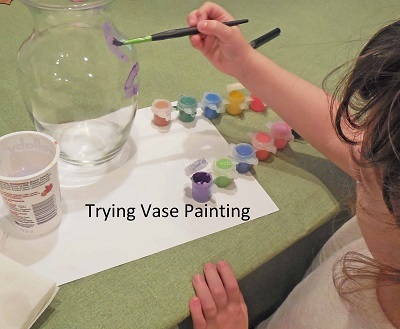 It helped to practice on paper and then return to the glass to improve our design. I-Reid has something to say about a Single Shard, as well! A Single Shard by Linda Sue Park is set in the Koryo era of Korean history, from which modern Korea derives its name. This blog post offers some explanation of the cultural and geographical setting of the story. Koryo is often spelled as Goryeo due to the Portuguese romanization of the Korean alphabet although the Koryo spelling is more indicative of the actual pronunciation in English. While Koryo considered itself a sovereign nation, it maintained a close relationship with the Song and Liao dynasties of China and sent celadon pottery as a tribute to the emperor. Besides the Chinese empire, Koryo sent celadon pottery as diplomatic gifts to other countries. The capital to which Tree Ear journeys was previously called Songdo, now Kaesong. Koryo actually had several capitals rather than a single capital, which included the modern-day cities of Seoul and Pyongyang. Buddhism was the historic primary religion before it was eclipsed by Confucianism in the Joseon era. While trade was important to Koryo, there was not a large middle class. Most citizens were either aristocrats or peasants. Life was very hard as a peasant. Merchants and artisans like Potter Min were the beginning of an emergent middle class but control was still firmly in the hands of the King and the aristocrats. Caledon pottery was mostly centered in what is now Jeollanam-do (South Jeolla Province) in South Korea on the coast of the Yellow Sea. While Korean pottery has a very long tradition, it was during the Koryo period that the distinctive greenware was developed before it was eclipsed by a preference for white and white and blue pottery. 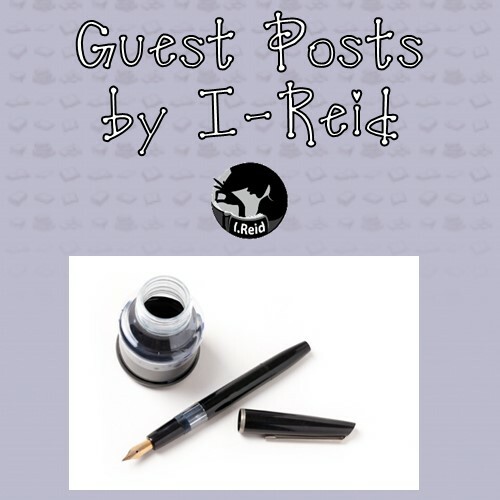 You might also like other guest posts by i-Reid at this link. 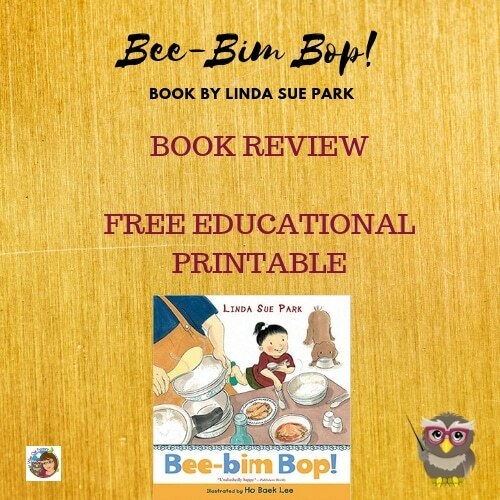 You might also like the blog post and freebies for these Linda Sue Park Books.